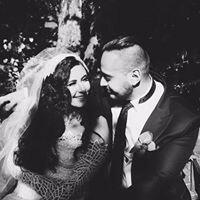 THE DESCRIPTION I absolutely fell in love with this stunning Wedding Dress. It is in amazing condition - too good not to sell! I am so sad to be selling but I know it will only hang in the cupboard if not! THE SPECIFICS It is designed to have a sheer lace front/back bodice and sleeves. 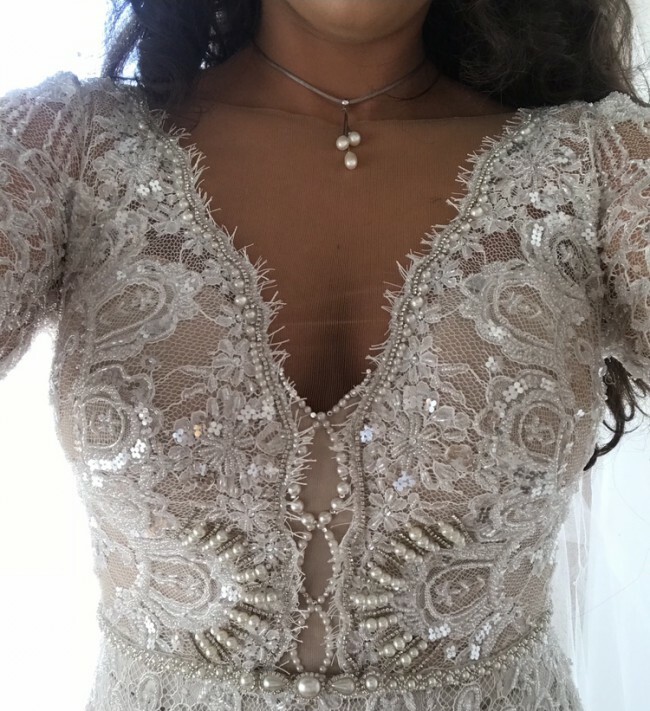 I left the back, sleeves and shoulders sheer lace, but I had the front bodice lined in a sweetheart shape so that it keeps it’s beautiful style but so that you cannot see your skin through the front from the bust down - I have attached a selfie and a close up image so you can see this. I asked for the back to be made slightly higher than the original design, as I decided to wear an invisible bra due to a lot of salsa dancing! For an idea this would just cover a bra fastening if you decide to wear one. However this does come with breast cups so it can be worn without a bra. The mesh on the neckline is almost unnoticeable unlike most designs with this mesh. BUSTLE The bustle is designed to be completely invisible! It has an invisible button on the inside of the lace that makes the train of the dress shorter at night for dancing (follow the inside seem up from the back hem of the dress to find this) this hooks on a fabric hook if you follow the seem of the first layer of lining you will find this. THE FIT The dress has a slight stretch and is super comfortable with 2 linings that create a beautiful silhouette - these also have a slight stretch to them. I am usually a UK size 10 top and UK size 12 bottom. Please be sure of the sizing before purchasing. The dress did not need dry cleaning but I have discounted the price as I know everyone would want to dry clean before their big day. I hope it makes you feel as special on your day as I did on mine! Happy shopping!